With our little girl in the hospital for two weeks, we are trying to make the best of our time there. So we went out and bought a Nintendo Wii console and hooked it up to the TV in Josie’s room. We also got a game we knew Noah would enjoy watching (if not actually playing yet) — Cars – Mater National. It’s a racing game based on the Pixar movie Cars. So far, I have to say that I’m impressed with the Wii. We got the Sports version of the console that includes trial versions of tennis, baseball, bowling, boxing, and golf. It is really something to see how the console tracks the movement of the controllers in your hands and translates it into very realistic movements of your character in the game. 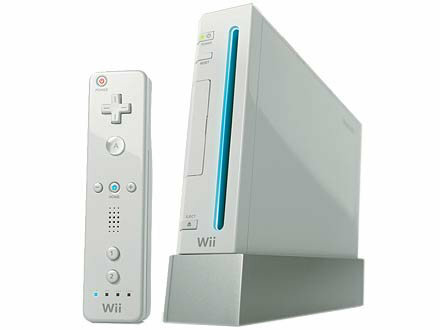 I can also see why, after just a short time playing it, that so many people comment on the aerobic benefits of playing the Wii. It really gets your blood pumping. It remains to be seen if we will outgrow this game platform, but right now I can see us using it as a family for a long time to come. Thanks Nintendo for making an otherwise unpleasant hospital stay a little more enjoyable!